Well, it's finally here--the start of our Second Annual Summer Gazebo Readings!!! We were overwhelmed with authors and poets wanting a chance to climb up onto our little gazebo and read for us--over 150 requested a spot--unfortunately we can only accommodate 48 Readers. We truly appreciate the enthusiasm and generosity of time these fine and talented people have shown--and hope that anyone we couldn't squeeze into this summer's schedule will come on down and join us--and hopefully we can make it work next year! We are starting our summer with an outstanding group. Bring your lawn chair-- enjoy the coffee, desserts and, of course, the readings-- all free. The Readings start at 7pm at Schoolhouse Green, located on Foxhurst Road, just east of Long Beach Road, Oceanside NY. For more information, www.schoolhousegreen.org. We are extraordinarily pleased to host Max Wheat, named last year by his fellow poets as Nassau County Poet Laureate. Max is extensively published, and is beloved by the Long Island poetry community. Paula is a poet in her own right, as well as the host of Caliope's Corner, her poetry show on Hofstra's radio station WRHU. She showcases Long Island's talent in a friendly, comfortable setting each week. A friend of our Series, both as a spectator and as an interviewer. We are looking forward to her presentation. Steve is the soon-to-be-retired beloved principal of School #5 here in Oceanside. He was our first Reader last year, so we have invited him back as our resident good luck charm. He is a recipient of the 2007 Heart of Gold Award from the Kiwanis Club of Oceanside for his tremendous dedication to the children of our town. Steve is a reknown scholar and a gentleman; his leadership will be missed by our schools, though happily it will leave him more time to spend with us on Schoolhouse Green. We thank each and every one of them for their support! Just a quick note to let you know how we are doing. Sponsorships are rolling in, the press releases are out, the flyers ready to go (except for adding the sponsors as they come in). We've ordered sunshine for every Monday this summer. As for Readers, out of the 48 available slots, we have filled 40. We are trying to keep a mix of old friends who supported us last year with new-to-us Readers, as well as presenting an assortment of genres. Unfortunately, it looks like we will have to turn some talented people away for now-- but we will certainly keep everyone in mind! If you know anyone who might be interested in reading-- tell them to get their info to us ASAP!! 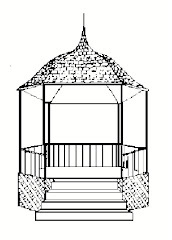 Announcement of Second Annual Summer Gazebo Readings!! It is with great pride and enthusiasm that the Kiwanis Club of Oceanside, in conjunction with Oceanside Education Foundation, announces the Second Annual Summer Gazebo Readings series. Last year hundreds of people came down to Schoolhouse Green in Oceanside to enjoy readings by some of Long Island's most prestigious poets, published authors, comedians, fiction and non-fiction writers, as well as local community members sharing some of their favorite literature. The Summer Gazebo Readings are held outdoors; audience members bring lawn chairs and blankets and share a quiet summer's picnic on the grounds. Admission is free. Our audience is made up primarily of non-writers/poets-- simply local people enjoying a nice summer evening. All funds raised by the program benefit the Oceanside Education Foundation and help send underprivileged kids to Kamp Kiwanis. Sponsorships are $200 and include your name and logo on signs, posters and the thousands of flyers we distribute, as well as on all announcements (including every email we send). If you would like to be a Reader, please contact me with your available dates. As a Reader you can read, extemporize, sing, play any non-electric instrument of your choice, etc. It can be your own work, or a favorite piece by another. Poetry, selections from essays, comedic sketches, novels, non-fiction works, songs, articles, famous speeches, etc.– any topic, any form. The only restrictions are time (10 minutes, strictly enforced) and the material, as read, must be appropriate for general audiences (think basic cable, not HBO/Showtime).